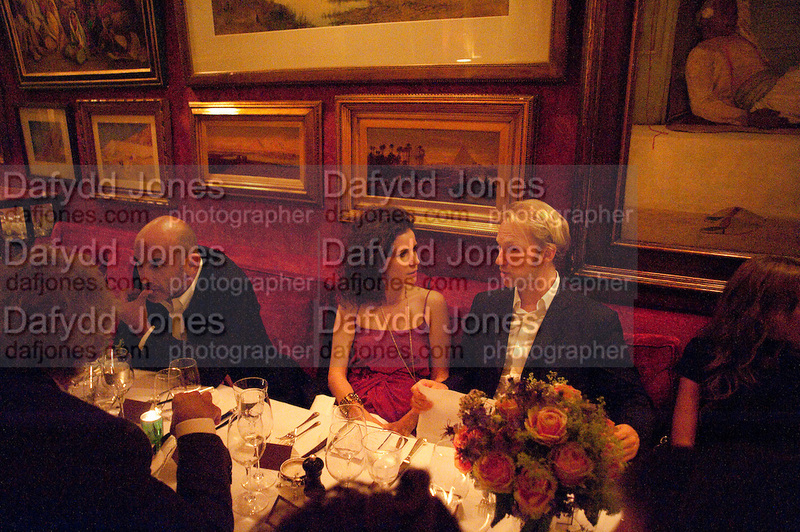 GUY DELLAL; MOLLIE DENT-BROCKLEHURST; JAN OLESON, Dinner hosted by Elizabeth Saltzman for Mario Testino and Kate Moss. Mark's Club. London. 5 June 2010. -DO NOT ARCHIVE-© Copyright Photograph by Dafydd Jones. 248 Clapham Rd. London SW9 0PZ. Tel 0207 820 0771. www.dafjones.com.